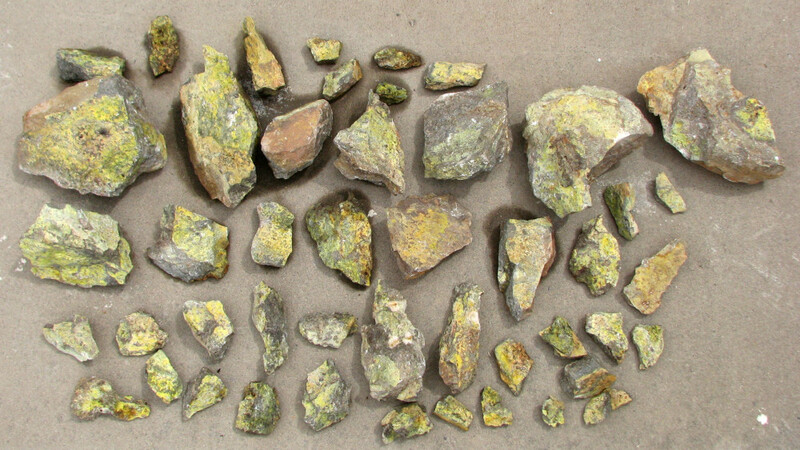 I’m offering excess uranium ore from my early summer trips for sale. This includes an assortment of decent specimen pieces from Lisbon Valley, San Juan Co., Utah, and bulk carnotite-tyuyamunite ore from the Grants, NM region. Read below for details. The Utah material, top, is a hard, coarse-grained red Chinle sandstone incorporated with veins and disseminated black uraninite. Fracture faces exhibit some colorful andersonite and other secondary uranium minerals. This comes from Big Indian Valley, San Juan Co., Utah. Piece descriptions and suggested pricing are provided after the jump. 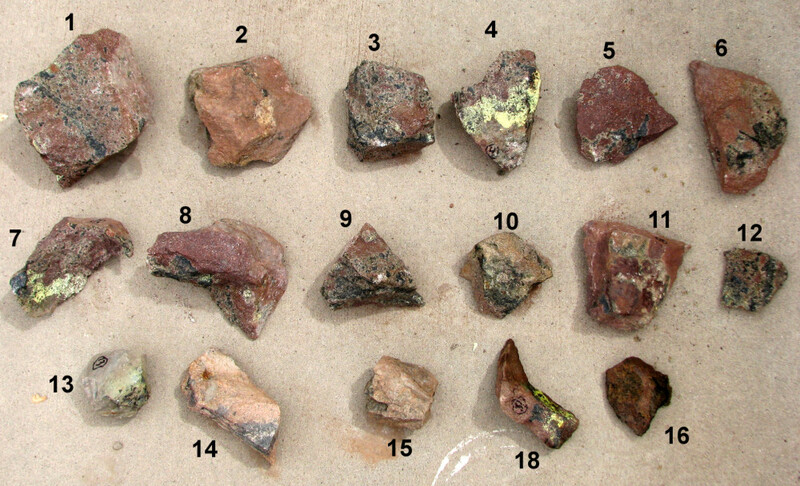 The New Mexico material, bottom, comes from Poison Canyon near Grants, NM. It is a tough, gray Todilto limestone saturated with yellow carnotite and tyuyamunite and occasionally some dark-colored uraniferous humates. Unfortunately this collecting location has become inaccessible and this may be the last batch of this stuff for a while. Sold by weight at $12 / kg.